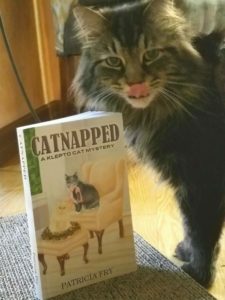 Newsday Tuesday – What’s So Sweet About the Klepto Cat? 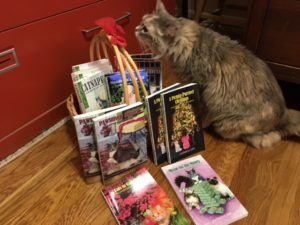 You hear (read) me talking about the Klepto Cat Mysteries. Most of you have read some of them or all of them. But do you ever wonder what others are saying about these books? Oh yes, we get reviews and some of them are over-the-top lovely. 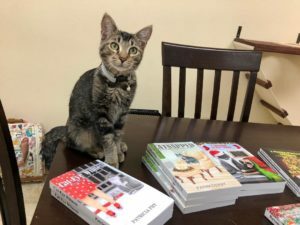 It’s your appreciation of the stories and your attachment to the cat, Rags, that keeps me enthused about writing one book right after another. As you may know, I’m averaging 6 books per year. Now that’s an accomplishment! And does Rags have fans? Yes he does. Here are a few of the over 1,500 comments the books have acquired at Amazon. Yeah, he comes close sometimes, but no, I imagine that as long as I live and can write, Rags will continue creating chaos and resolving human issues in his most cat-like way.